On Thursday I had the pleasure of attending a Spotlight Event for FabFitFun, a site I’ve been following for a few months now. At the helm of FFF is E News host Giuliana Rancic. The FFF’ team share cool beauty, fitness, diet and wellness tips that keep me motivated to maintain a healthy lifestyle, all while reminding me to take a minute to kick back and have fun. 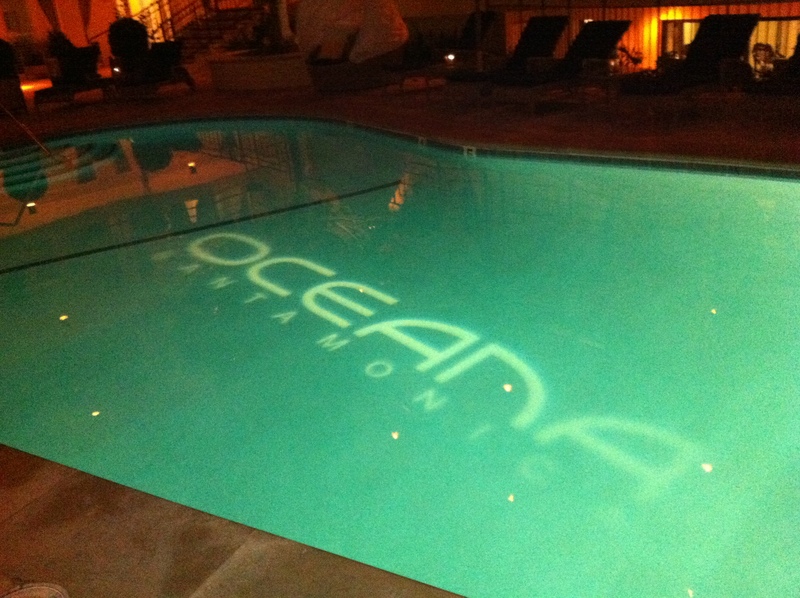 The spotlight event at the beautiful Oceana in Santa Monica featured skinny cocktails by Ritual Cleanse, healthy apps, Zumba lessons, and massages. The perfect remedy for weary writers! It was a fun night! 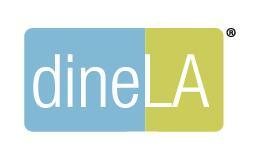 On Friday, I attended a Panel Discussion on Social Media in LA’s Restaurant industry, compliments of dineLA. The event at The Palm included LA Weekly’s Jonathan Gold, the Midas of the restaurant industry. Other panelists included Nguyen Tran of Starry Kitchen and Katie Burbank from Yelp. If you are Downtown and haven’t visited Starry Kitchen, you’re missing out. The guy is a character and has brilliantly mastered the use of Social Media (the dude was Tweeting while talking on Panel! ), and he refuses to take himself seriously. 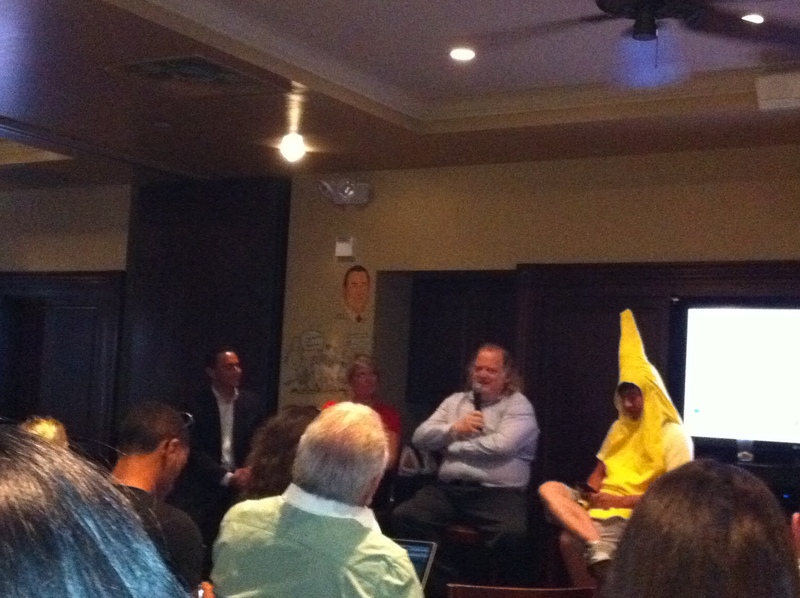 I have to give him props for showing up to the panel in a Banana costume :). Katie provided restaurant owners some good tips for dealing with negative reviews. It was an engaging discussion and I think it opened some eyes to restauranteurs on how to take advantage of Social Media in their businesses. This is when I came to the conclusion that it’s time for a Twitter account. Me: *Eyes darting toward nearby Cupcake truck*. I had completely checked out of that conversation, written off Ludo and written off Twitter. Hindsight is 20-20 and I now get it. I can be a bit stubborn, but there is some value to it. Jonathan Gold specifically cited Lefebvre’s use of Social Media as being critical to his success. Talk about being late to a party! Oh well, here we go! 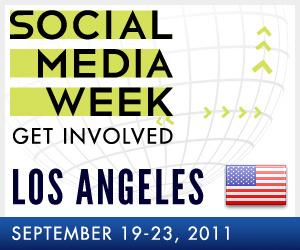 So I’ll be Tweetin up a storm during dineLA’s Restaurant Week starting October 2. I love Restaurant Week, it is the best way to introduce yourself to new spots at affordable prices. Participating restaurants have prepared Prix Fixe lunch/dinner menus all at the same price point. So eat yourself into an oblivion during Restaurant Week, then check out FabFitFun to get tips to help you erase the trace of the gluttony!